For OEMs in the aerospace industry accuracy is crucial, but not at any price. The Unipent 4000-aero is a powerful, compact machining centre that offers an affordable solution for volume production of precision parts. Its very high stability and freely positioned turn-tilt table deliver dependable accuracy. And features like high feed rates and strong milling performance make this vertical machining centre the ideal configuration for aero structures production. Produce aerospace parts accurately and in volume at lower cost. It’s really possible with this powerful, affordable and compact machining centre. The 5-axis capability and features like high-speed spindles help to boost productivity from this optimised machine concept. And with an optional pallet changer system, unmanned production can go on through the night to keep your facility operating profitably. 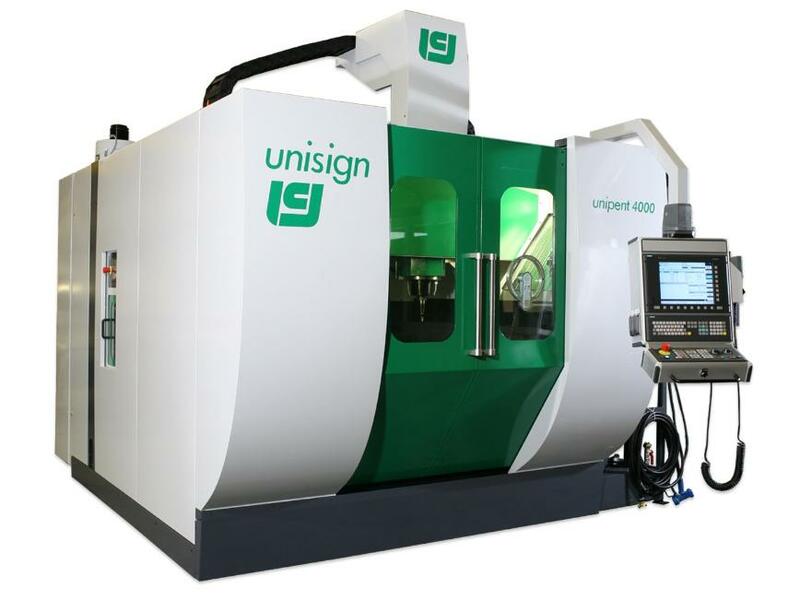 With a capacity for milling components in excess of 10.000 cm3 aluminium per minute, high feed rates and strong milling performance the Unipent 4000-aero is a production workhorse in a small footprint. For high speed cutting the machine is equipped with a 25.000 rpm motor spindle, with a power output of up to 100 kW. The integrated rotating and tilting table enables 5-axes machining and positioning of complex components, boosting productivity considerably. Although fully enclosed, with a fume extraction unit built in and electronic safety locks on the operator doors, the machine is very accessible. A pneumatically activated slide-way system can be used to open the rooftop and enable safe loading via overhead crane though the topside of the machine.